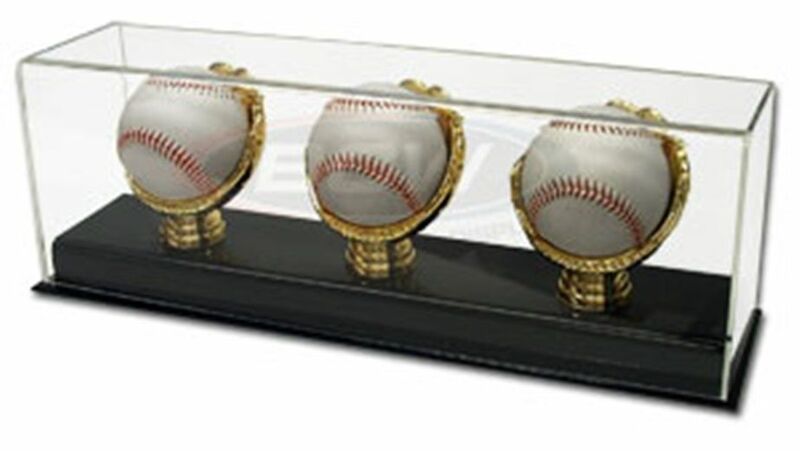 Gold glove acrylic display case for three baseballs. Measures 15 1/8 x 5 1/2 x 3 3/4 inches. Base measures 15 1/2 x 4 1/8 inches.